After several months of waiting and a few curves in the road, the time has come to formally introduce myself and my car. I saw there are a few Purdue Boilermakers in here and I am as well so Boiler Up!. "Go Ugly Early Boys!" I'm also a USMC Veteran so to all my fellow Jarheads and other service members I salute you as well. Thank You for your service! I will throw my disclaimer out here from the start that I am not a mechanic and have only basic knowledge of wrenching! That's even giving me too much credit. I want to tinker and learn about working on cars because it is a challenge for me and I like doing it. 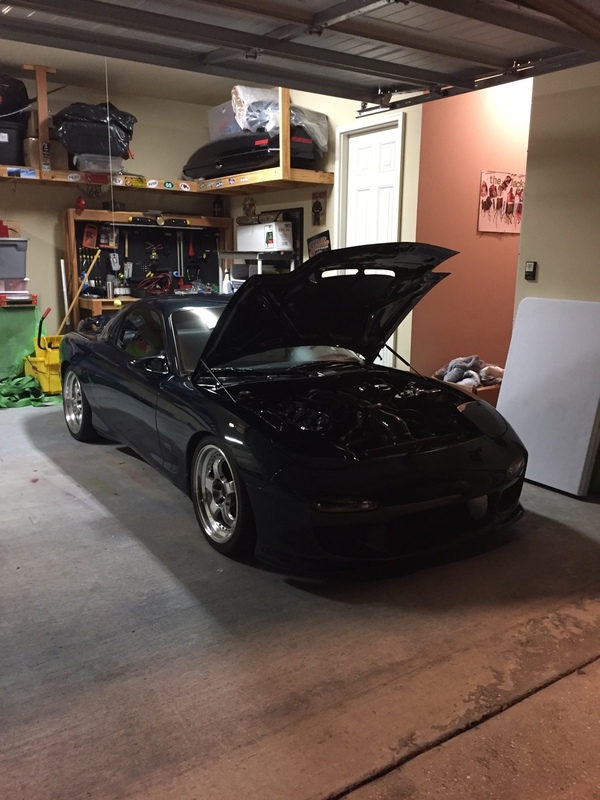 Growing up by Indianapolis and having a father who is a mechanic peeked my interest in cars from a very young age, I was just too busy chasing a good time to care. I also could never afford a hobby this expensive until now and even that's questionable after knowing what I know now. I am now the proud owner of the 1994 MB 416 c.i. LS3 Stroker built by XLR8. Getting here has been a journey that began at the end of September. I owned a 370Z and had decided I wanted more power. It was either Twin Turbo that or go a different direction so I chose option 2. Before I bought my Z I had searched for FD's because ever since high school I loved them. I graduated in the 90's so I liked them even before the movies! I appreciated Japanese engineering and design. 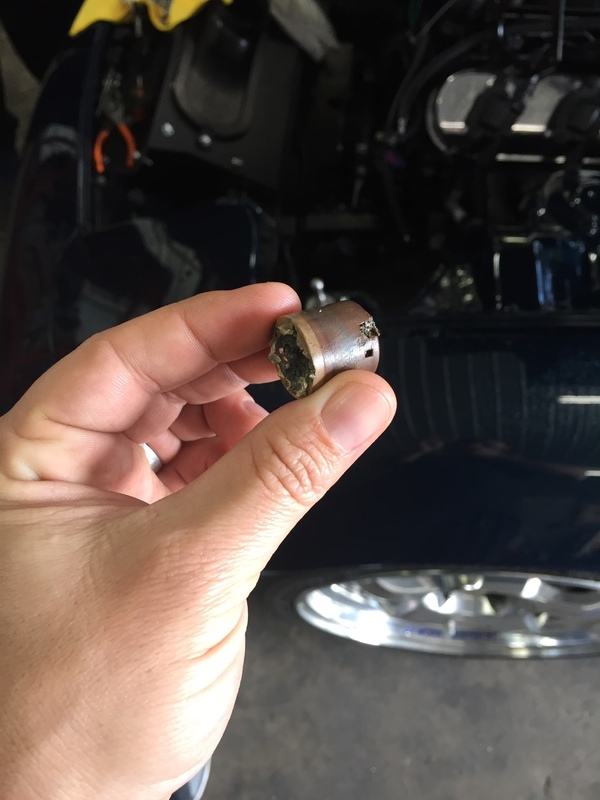 I couldn't believe you could get that much out of such little motors. I decided against the FD because of Rotary problems and price range for a toy. I ended up with the Z and loved it. THEN, after a couple months owning the car I go to a local Cars and Coffee meet only to see a RX7 FD. Only to find out it was a Frankenstein with a LS motor. I had no idea this even existed. Owner would later be known to me as VladtheSmiter (Colt). I couldn't get this car out of my head the past couple years so when the time came that I wanted more it was the car of choice. I tell my wife it's all Colt's fault. So I started researching and browsing to learn what exactly I needed to go for and stay away from. I originally wanted to build one, but knowing me, my skill level, time available, and my wife I wasn't sure I was up for the task. 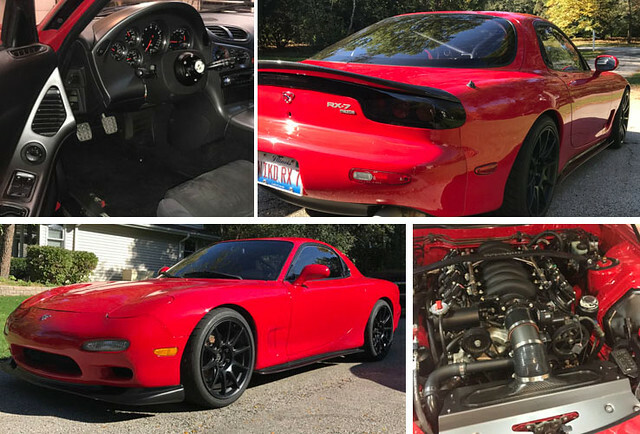 After talking with several people I determined it was best for me to try and find the best FD I could afford and go from there. After XLR8 posted his for sale I saw he was only about 2 hrs away. I just wanted to put my eyes on and see for myself what a clean swap looked like. I honestly didn't like many things about the car in pictures compared to others and really just wanted it to be an educational tire kicking experience. 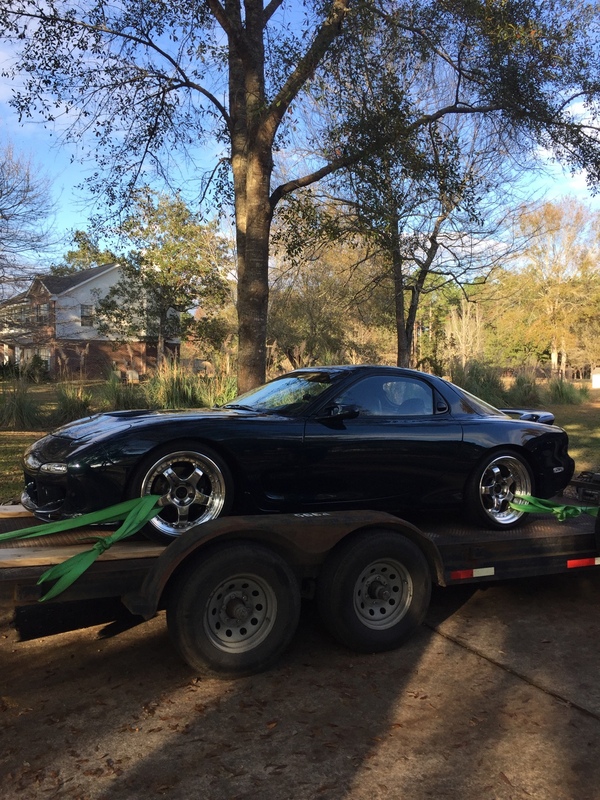 So my wife and I drive over to look at it and XLR8 pulls up in this beautiful RX7 right about sunset with the engine rumbling and shaking the ground and my chest. All the feelings of dislike, especially the color went out the window. In person the Montego Blue on this car looks amazing. We talked so long I didn't even get to go for a ride or really go over the car with a fine tooth comb like I normally would have. Part of it was my amazement and curiosity finding out more information about the build itself. It turned dark and we ran out of time. 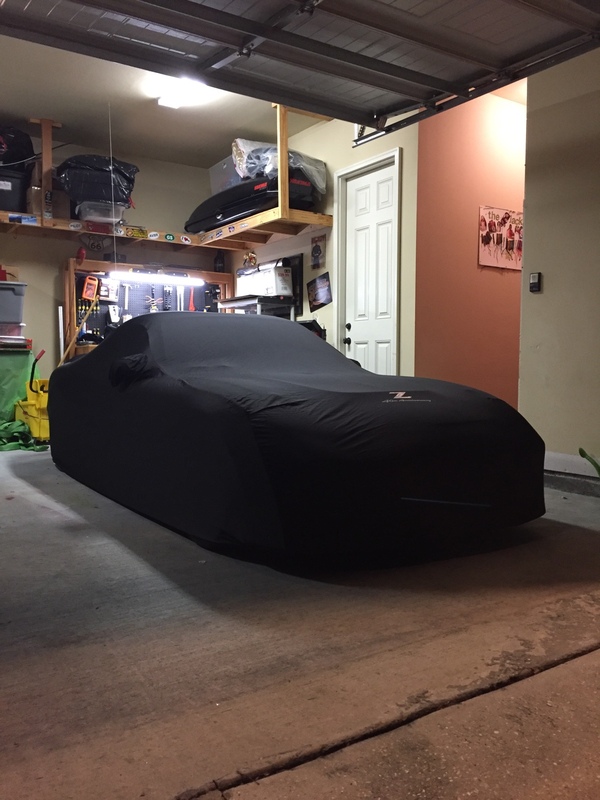 2 days later we reached an agreement for me to buy the car contingent on me selling my Z. That didn't happen as easy nor did I get as much money as I had thought I would but it worked out. While waiting for my car to sell the FD's gauges stopped working, we broke a brake line on test driving it, and Josh had to go to the ER. So I finally go to pick up the car, all goes well except it took us 3 hrs (maybe not but it was freaking long) to load the car up on a trailer because it's so low, mainly the headers and exhaust. So I get the car home and park it for 9 days. Go to start it and it wouldn't start! So then the fun begins! This thread would've happened earlier but I had no desire to post anything about the car due to heartbreak and frustration. The car was cranking so there was a level of confusion. So once XLR8 and I determined the coils weren't firing we moved on to try and figure out why the ECU wouldn't send the signal to fire? So research led me to change the Crank Sensor. That didn't work. Next was the battery. Car seemed to crank slow but Josh (XLR8) said that was normal given the specs of the motor. So next was to get the battery tested. It's a Red Top and was in the storage bin. This thing was a MF'er to get out. I actually broke the latch off trying to get it out. Josh swears he had taken it out once but I told him I want to see video of that because I'm calling BS! Lol. I think he started with the battery and built the car around it. Anyway, take the battery to get tested and test better than new!?!? Next is calling Holley USA. Guess what, they're stumped! So I had bought a Cam Sensor thinking that was my next step and it was waiting. After an hour on the phone with Holley they say go ahead and change the Cam Sensor then they will call me back in an hour after their lunch break. I go to change the Cam Sensor and it literally gets stuck and won't come out. I keep trying until finally the bolt tab breaks off and I'm screwed. Holley calls back and I have to tell them I can't move forward. I schedule an appointment where Josh had the car tuned at Schexnayder Racing but he couldn't get me in until after the holidays. So my new Christmas present was broke and all I could do is look at it. SMH. Load the car up and make the hour and half drive to Earl's. At this point I feel a little better about myself because it took the professionals over 2 hrs and all 3 heads together to get this thing out. It was stuck! Come to find out many people have this problem. The day before I got there they had to hammer 2 different ones out from the inside of the blocks because they wouldn't budge either! Crazy! So we put new Sensor in and try to start and still won't fire. Earl says it sounds like it's cranking weak and hooks battery charger up to it. Battery still reads good but he turns it on starting amps and the car fires right up! Earl tells me it's the starter going bad and drawing too much power during cranking. We mess with the car all day starting and even did some street tuning to try and get some of the low speed bucking out of the car. It's as good as it's gonna get, now I just need to learn how to drive it! After all this I think Earl felt sorry for me and really gave me a fair bill considering we spent all day on the car. So I get the car home and go to start it the next morning and bam, won't start again. At this point I learn how the starter is wired and find out there is no wire directly to the starter from the battery. It actually goes through the Alternator. So before I spent $350 on a new MSD Starter like Earl said I need I opted to try a $50 wire first. If nothing else it would eliminate any future questions. So I learn how to run a wire through the car and fire wall and ran a 1 gauge directly from the Battery to the Starter! Didn't start. So I sucked it up and ordered the MSD Starter, put it on and bam! Car fires right up. So even though car was cranking fine the Holley ECU would not send the signal to fire due to low voltage during cranking. For any future or current Holley owners, just understand that it is more sensitive than other ECU's and if you run into this problem learn from me. While this was a frustrating and expensive journey I am glad to say that I learned a lot about the car through the process that I otherwise may not have until further down the road. ~ New Holley USA Analog Gauges with Toby doing the cluster. ~ Coilovers. Headers, Oil Pan, and Exhaust are too low for Louisiana. ~ Get the wheels flush, not sure what option I will go with on that one. ~ Convert the steering rack to better manual, probably Maval. ~ Get the Rear Differential rebuilt. It's loud and whines. 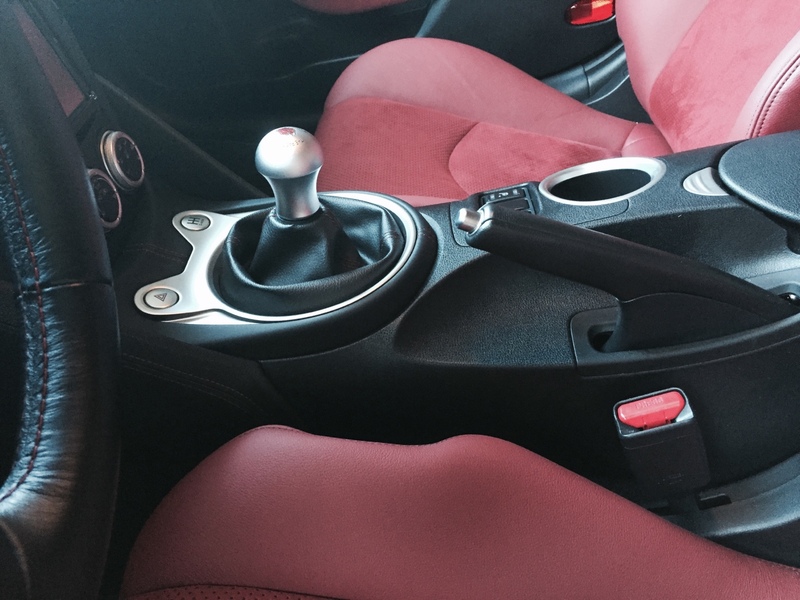 ~ Eventually Interior, starting with my JDM Tommy Kaira Shift knob and mats. 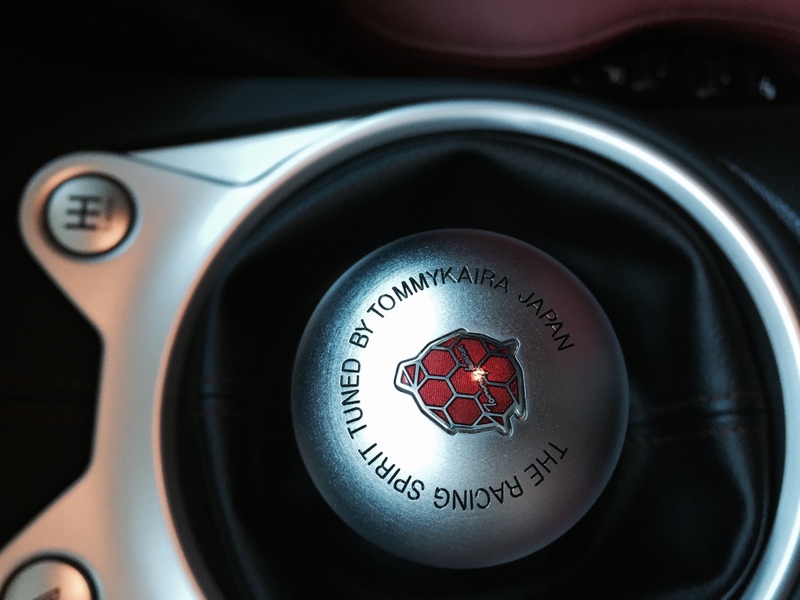 Here are some pictures under new ownership My JDM Shift Knob, not sure how to get thus to work? Well congrats. You'll have a pretty good car when you get this one all sorted out and dialed in. Welcome as well! Feel free to ask questions, we are all here to help! Thank you! I love the car and feel like it was the right choice for me. I have done a lot of reading and research and believe the people and this forum are second to none. I will need all the help I can get for sure. I am not a very active poster but will try and do better both here and FB. I just really started FB and Tapatalk the past few months. I want to document the car to stay consistent with XLR8. The level of documentation on this car was one of the reasons I felt so comfortable purchasing it. With that said can someone explain how to create a link to a thread both on the website and Tapatalk. I would like to imbed XLR8's links to my thread so it's there. Also, on top of my rear differential whining like my sister, my rear is very clunky when accelerating and decelerating. Is this normal? When I was doing some road tuning with Earl I asked his opinion and he said it seemed excessive to him but he didn't know given the makeup of all the different parts mating together? Welcome! Were are you located in La.? Congrats on joining the dark side! Get ready for lots of and be careful with who you let monkey around under the hood. Welcome! That is definitely a cool car. I would look into getting those wheels re barrelled in a more agressive offset to get the stance you are looking for unless you don't like the wheels at all. I have called work and looked into it. It will costly to re barrel them and more costly to get a new set, obviously. I would save a little but not much. It would make my wheel either a 10.5" or 11.0" and I am finding it very difficult to find tires in 295 or 305 for 18" wheels that aren't a drag radial. Other problem with these is they aren't compatible for a BBK if I ever wanted to go down that route. I'm on the North side of Baton Rouge. I've seen your posts and was curious if you were in LA or not? Where are you located? If that diff is solidly mounted it is going to clunk and whine to some degree. Getting it rebuilt may help. 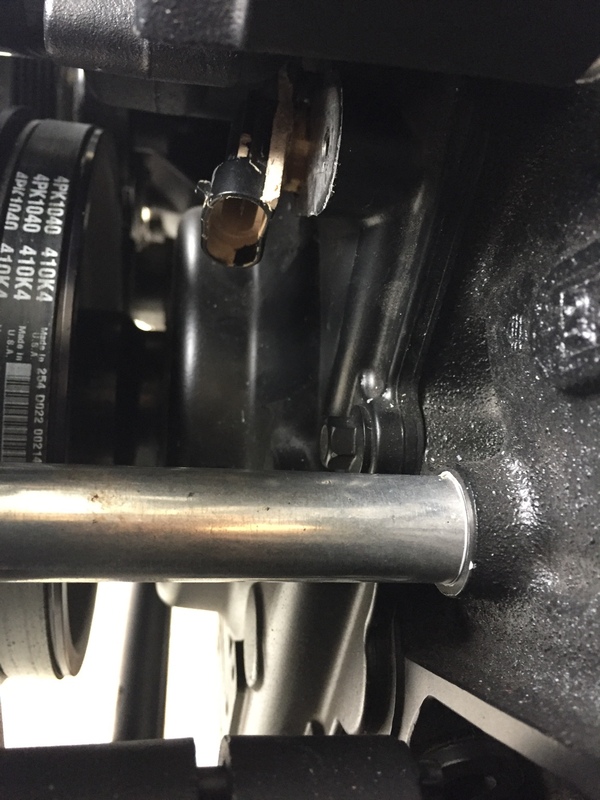 You can isolate where the slack (clunk) is coming from with the back of the car in the air by trying to turn the driveshaft and halfshafts. I don't remember if that car has the Ronin Explorer 8.8 kit, or a Samburg Cobra 8.8 kit. It has the Cobra 8.8. I don't know about the solid mounting. Are you referring to mounting without bushings? Excuse my ignorance. My car also has the Samberg Cobra setup, and yes, it whines and clunks as you describe. The worst clunks are when the tires slip, it really sounds like it's going to break something. Yea if it is the Cobra 8.8 conversion setup it is probably mounted with solid aluminium bushings to the subframe. That is why it is so loud. Rebuilding it could yield no change in noise. The Ronin 8.8 conversion uses the housing out of an Explorer and you can retain the OE rubber mounts so it is a bit quieter. Thanks for the info guys. Based on your input there may be a day I end up moving to the Ronin/Explorer setup. I was already considering it on the bucket list because to my understanding it allows more ground clearance for the exhaust. The roads are terrible here in Louisiana and every little bit will help. There is nothing wrong with my current setup other than it's loud. Thank you for the info! The ronnin setup with Detroit true track is as quiet as stock. I love mine. That's great to know and sounds like it's in my future. When you have time would you mind PM'ing me what all is involved? Thanks!